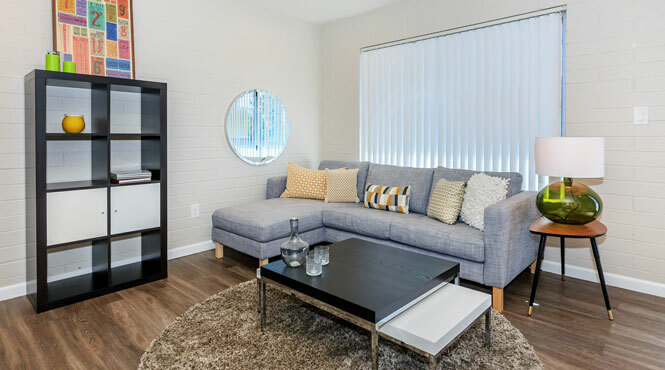 Finding apartment home living in Tuscon, Arizona has never been easier! Come home to The Flats at Julian Drew. Our beautiful community is located in Pima County in the heart of downtown Tucson, just off of the I-10. We are only minutes from Armory Park, Santa Cruz River, Arizona Theatre Company, local parks and fine dining. 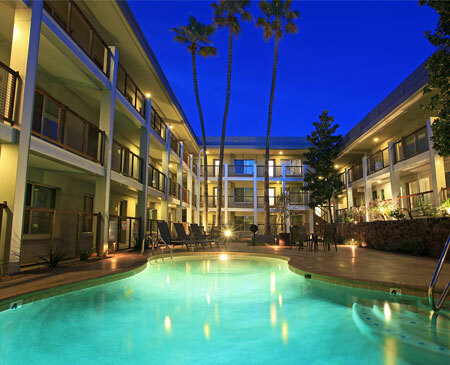 Live within the historical district of Tucson that is a seamless blend of the modern. Downtown Tucson is a unique mix of chic, Western Nouveau, a hip art scene and down-to-earth family-centered fun. From the sophistication of Arizona Opera, Tucson Symphony Orchestra, and the Temple of Music and Art to the eclectic music venues like The Rialto, Fox Theatre, and Club Congress, Downtown Tucson is the center of cutting-edge entertainment with a wide range of galleries and museums that show everything from traditional to contemporary. For an exceptional dining experience, Downtown Tucson has it covered. When it comes to delectable dining, the city center is Tucson’s new restaurant row with a variety of tantalizing options to satisfy the most discriminating of palates and cater to budgets of every size. Year-round, Downtown Tucson is host to over 40 cultural and outdoor festivals and hundreds of smaller events. In addition to the monthly “2nd Saturdays”, the city’s core is also host to the Parade of Lights, Dillinger Days, Carnaval, and the Gem and Mineral Show during the temperate winter, Festival en el Barrio Viejo, the Folk Festival in the spring, and Tucson Meet Yourself, El Tour de Tucson, and the All Souls Procession in the fall months. If convenience and location are important factors in your life, you have come to the right place. When you are not indoors, enjoying your new home, you can take advantage of our spectacular community amenities. Take a dip in our shimmering swimming pool, or invite your friends and family to a barbecue at our picnic area. Your pets are welcome in our community, as they are family, too. The Flats at Julian Drew is the only place to call home. Give us a call to schedule your personal tour today.